A mothers job is never done. Shes slaves to the bone for daughter and for son. She never has time for luxuries, she never has time for fun. All she does is work overtime, she lives life on the run. we sometimes forget to say thank you for doing the things you do. To say we love you, we know what you’re going through. Our mom’s are wondeful in every way and certainly everyday. 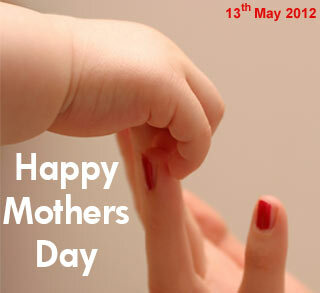 Mom’s work is never done and its time we tried to make one day special for Mom, just so that she can sit back and relax. You don’t need to buy expensive gifts, its just the small things that count. Make Mother’s Day special by making it thoughful this year. If you need any help with that, we’re always on hand with ideas. Have a favourite moment with Mom? Do share it with us in our comments section! ← The Early Bird gets a Mother’s Day surprise !